"Honoring Ciena's Kim Roberts, Recipient of the 2019 John Tyndall Award"
"Telia Carrier Test Drives Infinera's AIT "
"Optoscribe, Sumitomo Electric Team Up"
The ON2020 panel at this year's OFC provided insight into the challenges faced by network operators and the technologies that will be required in future optical networks. At OFC in San Diego, the optical industry is buzzing with a number of new 400G solutions and there's even talk of 600G. In this video, Dr. Kuschnerov discusses the latest commercial single wavelength 100G to 400G tunable product that Huawei has brought to market. As 5G becomes a reality, Huawei is poised to take the lead on providing the best solutions to fit different applications. As one of the optical industry's key jamborees drew to a close, Heavy Reading senior analyst and optical networking industry celebrity Sterling Perrin discussed developments in 600G transport, probabilistic constellation shaping and other key trends from this year's OFC. Chinese operator believes it will need to deploy more than 2 million basestations to provide its 5G coverage as it appeals to the optical community for more innovation that can help support the expected 5G and cloud traffic loads. It was the PIC of the bunch! Lumentum sends the OFC crowds into a frenzy with a $1.8B optical components marriage. Vendor unveils the latest iteration of its Infinite Capacity Engine (ICE) and ramps up its R&D cycle. The Shannon limit, that is, claiming its Photonic Service Engine 3 (PSE-3) chipset takes optical channels close to the maximum theoretical capacity. 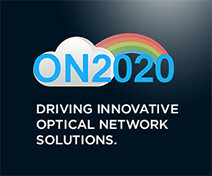 ON2020 is running a workshop at OFC where speakers from leading operators will share their visions and discuss roadmaps for optical networking. Infinera's Rob Shore discusses the company's latest products and solutions at OFC this year. Manish Mehta, Source Photonics' EVP of PLM, talks about the company's product offerings for cloud, telecom and enterprise operators and OEMs. He describes how its latest 400G-ER8, 400G-LR8 and 400G-DR4 QSFP-DD solutions, as well as its 100G-FR and 50G-ER QSFP28 solutions, will enable high-speed data connectivity and low latency in the cloud and 5G networks. Light Reading sits down with Macom's Preet Virk, VP of Connectivity, at OFC 2019, discussing the ongoing progress component suppliers and module vendors are making towards enabling the next generation of optical connectivity. Learn how Macom's leading portfolio of components and technologies are enabling these solutions. Heavy Reading's optical expert Sterling Perrin discusses some of the major trends in transport network technology at this year's OFC event in San Diego, including 5G Transport, 800G and 400ZR. At OFC 2018 in San Diego, Heavy Reading Sr. Analyst Sterling Perrin sat down with Kyle Hollasch, Director of Optical Marketing for Nokia. They discussed the evolution of WDM networks over the past 20 years, the potential of probabilistic constellation shaping and how optical will be affected by network automation. Manish Mehta, EVP of Product Line Management, talks about Source Photonics' demonstration of the first interoperable 400G QSFP-DD for data center application at OFC 2018. He also talks about the trends in 5G networks and how Source Photonics is well-equipped to revolutionize the access markets with its investments in its fixed broadband products. Light Reading's Ray Le Maistre speaks with Preet Virk, SVP & General Manager of MACOM's Network BU about trends in optical networking including changes in the data center and the move to 5G. Infinera launched its new Infinite Capacity Engine, ICE5. Infinera's Jay Gill explains why the time is right for ICE5 and how it will help network operators solve their capacity scaling challenges. Plus, he'll give us a sneak preview of Infinera's next generation, ICE6.